The Association for Jewish Theatre’s 2013 conference — Imagining Jewish Theatre in the 21st Century — will be June 2nd through 5th, with the Minnesota Jewish Theatre Company, in Minneapolis/St. Paul. Emily Mann, a multi-award winning director and playwright, is the keynote speaker. Artistic director of the McCarter Theatre for the past 22 years, Ms. Mann’s shows have garnered Obie Awards, and under her direction the McCarter has received the Tony Award for Outstanding Regional Theatre. She has won Helen Hayes and Joseph Jefferson Awards, and been nominated for Drama Desk and Outer Circle honors. Renowned Holocaust theatre scholar Robert Skloot, from the Theater Department and Center of Jewish Studies at the University of Wisconsin, will lead the discussion with Ms. Mann. As part of the conference, on Sunday evening, June 2nd, the AJT will honor the world-renowned performer Theodore Bikel. Best known for his Tevye, Mr. Bikel is a consummate film, recording, television, and stage performer. He is an Academy Award nominee, Emmy Award winner, and originated the role of Captain Von Trapp in The Sound of Music on Broadway. The event will be held on a boat cruise, and will include a tribute in memory of Tamara Brooks, Mr. Bikel’s talented wife, who was a good friend of AJT and a great musician in her own right. 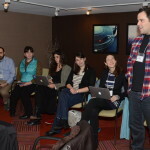 The three and a half day conference offers playwrights, performers, artistic directors, theatre educators, scholars, board members, and theatre makers of all kinds the opportunity to meet, exchange views, and learn about the latest trends and artistic movements in Jewish theatre and theatre practices. SPECIAL: The Theodore Bikel tribute event will be on a boat cruise the first evening, June 2nd, at 5pm. All members who send paid registration forms by March 30th receive a Very Early Bird discounted registration fee of $275, and guarantees a place on the boat. Online: Email your conference (and membership) registration form(s); mail your payment, unless you paid using PayPal. Postal: Mail your completed conference (and membership) form(s) and payment. The conference headquarters hotel is the Crowne Plaza, St. Paul-Riverfront. Make your reservation now by calling 866-686-2867. Ask for the Association for Jewish Theatre Conference room block. 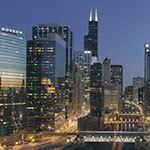 You can extend your stay and still take advantage of the very low AJT conference rates. The Crowne Plaza, truly one of the Twin Cities finest hotels, is extending AJT Conference attendee’s special room rates at $110 per night, a considerable discount from the regular rate. The view faces the river with excellent scenic walks. It also has a fine restaurant, coffee shop, and bar/lounge. There is a 24 hours fitness center and business center. It is walking distance to the Science Museum and the River Center arena and on 7th Street there are a number of shops, restaurants, and bars including the Irish pub the Liffy, that has a rooftop lounge with stupendous views. Playwrights are invited to submit a short play on any Jewish-related theme, topic, or idea in history, culture, religion, identity, or the Jewish future. JPP is also interested in plays about Israel in 2050; Social, Environmental, and Economic Justice from a Jewish perspective; and gender, ethnic, and sexual diversity in Jewish life. A limited number of plays will be accepted on the basis of quality and the interesting ways Jewishness (however the playwright defines it) is part of the piece. The piece must be no more than 9 pages long and run no more than 10 minutes. Each must be a self-contained theatrical work that is not reliant on the context of a larger piece. All submissions must include a Cast of Characters page, title page without the author’s name, and a three sentence “elevator pitch” about what your play is about. Your name and contact information should only be in your e-mail correspondence. AJT will provide the actors, venue and sound for the staged readings. AJT will not guarantee any stage set pieces, piano, or intricate lighting but we will do our best. Authors may submit one play. Authors must become *AJT members. This can be done after being accepted. 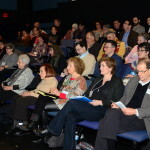 If the panel selects a play, the playwright must attend the conference for it to be given a reading, or another play will be chosen in its place. The playwright, when accepted can register at the Early-Bird Member Rate. Accepted playwrights will be contacted after April 22. Submissions material due no later than March 30, 2013, and are to be sent to: ajtplays@afjt.com. If you have any questions, please contact Doug Brook at dbrook@afjt.com. * To get membership and registration information, please contact etaylor@afjt.com. Presentations will be curated by a panel of peers. A limited number of solo performances and set theatre pieces (excerpts of larger pieces are allowed) and will be accepted on the basis of quality and the interesting ways Jewishness is part of the piece. Just one work by the solo performer artist will be accepted. S/he must become an * AJT member, if they’re not already, for their work to be showcased. Registration can be done after their showcase acceptance. A “set theatre piece” is defined as a polished performance from a play that has been previously performed. It can be solo or multiple players but they must be the polished performers of it. AJT will not supply performers. If a work is selected by the committee from a “set theatre piece.” The piece’s creator must become a member and register to attend the conference for it to be showcased. Registration can be done after their showcase acceptance. AJT will provide a theatrical venue, lights (simple stage wash), sound and projections if needed. AJT will not guarantee any stage set pieces, piano, or intricate tech cues. If there are other performers from the theatre creator, in the selected piece they are not required to be AJT members, but we happily encourage that. When accepted all showcase participants can register for the conference at the Early-Bird Member Rate. Determination of Inclusion, after April 22, 2013. Submit material to Rebecca Fletcher rebeccajoyfletcher@gmail.com. The 2013 AJT Conference Steering Committee is led by Barbara Brooks, Producing Artistic Director of the Minnesota Jewish Theatre Company, and Diane Gilboa, Producing Artistic Director of Theatre Or in Denver.